October 30, 2018 October 12, 2018 by Beau H.
Don’t yet have a rugged henley in your closet? Or perhaps you do, and you’re in need of a new way to wear it? Dare I say, the BEST way to wear it? Allow me to introduce you to the Flint and Tinder Slub Waffle Henley, the lead pick in today’s #OOTD. When it comes to both comfort and warmth, the henley is a must-have for fall — particularly when done up in a cozy slub waffle cotton like this rugged henley here. And I think the #OOTD in question brings something a little bit different to the table. For starters, we’re layering it up with the ever-versatile Proof Strong Shirt, which gives this look a more polished feel. We’re also throwing in a dash of mobile, versatile with a pair of CIVIC chinos. What I’m trying to say is that you can take a staple layering piece like the Flint and Tinder Slub Waffle Henley and turn it into a look that’s as ready for the office as it is for Sunday brunch — truly. Add in stylish chukka boots and a go-anywhere watch, and you’re good to go … well, basically anywhere you want. How do you wear your henley for fall and winter? On a related note, you can (and should!) shop the best men’s henleys as soon as possible. Cheers, my friends! The right basics … that aren’t actually so basic. See more on how to wear this henley below. The Rugged Henley: Flint and Tinder Slub Waffle Henley, $62 — From the domestic sourcing and materials to the netraul, easy-to-wear color and rugged waffle construction, this henley is a winner. The Chambray Shirt: Proof Strong Shirt, $128 — A classic chambray shirt atop a henley is a fall and winter style move that simply works all the time, no doubt about it. The Pants: CIVIC Frank Chinos in British Khaki, $128 — We’re all about blending the basics with the classics — in this case, these CIVIC chinos have a bit of both. The Boots: Astorflex Greenflex Chukkas in Nubuck, $155 — A new addition to the Astorflex roster of stylish men’s boots, I love the Nubuck leather and durable look of these things. The Belt: Dango Products CNC-Machined Belt, $79 — Is there such a thing as a beastly belt? Yes, there is. The Dango Products CNC-Machined Belt is one-of-a-kind. The Socks: American Trench Merino Activity Socks with Silver, $19.50 — A classic, retro-inspired pair of socks? Check. Made with fabric designed to prevent odor? Check. The perfect pair of fall socks. The Watch: Momentum Watches Flatline 42 Fabric Watch, $195 — Every so often, you just need a dependable, rugged casual watch — the Momentum Watches Flatline 42 Fabric Watch gets the job done. The Essential Bag: Mystery Ranch 3-Way Briefcase, $150 — Although this Mystery Ranch bag is a little more rugged and casual than others on the market, that makes it a wise pick-up when it comes time to plan out fall adventures. Now, does that sort out another #OOTD idea for fall and winter for you? 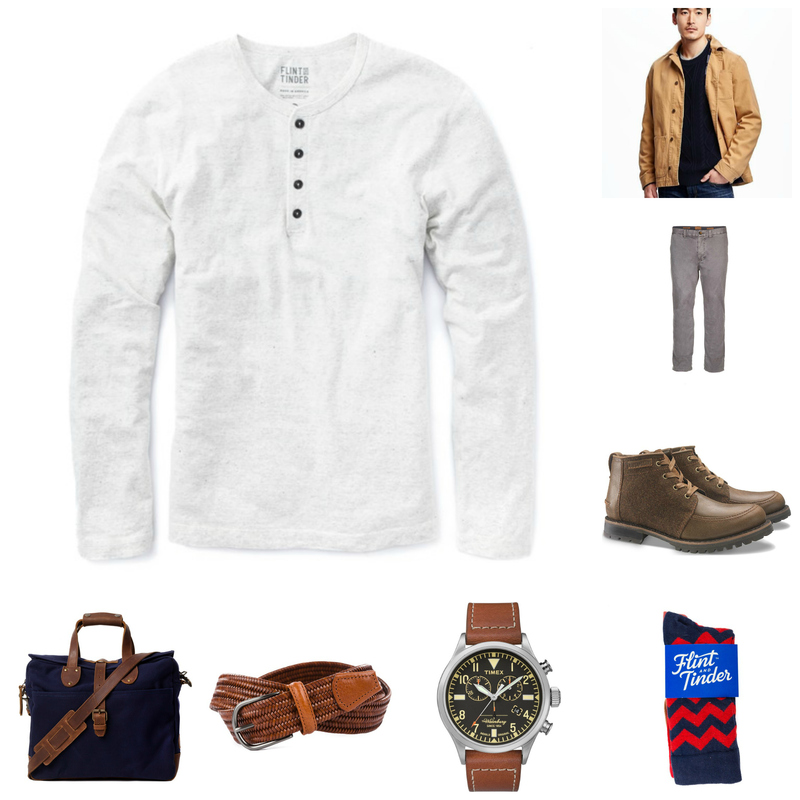 On paper, this outfit might seem quite simple — the building blocks are just a henley and a chambray shirt, after all. But as we always strive to do here at The Style Guide, we want to amplify those pieces and go above and beyond — that’s why starting out with a classic, rugged henley like the Flint and Tinder Slub Waffle Henley is a better move than throwing on an average long-sleeve T-shirt. It follows, then, that the Proof Strong Shirt is a similar style upgrade, paired up quite nicely with the casual-yet-mobile CIVIC Frank Chinos for style that fits in at the brewpub or brunch … or on a casual fall Friday at the office. That same versatility applies to the truly excellent classic nubuck chukkas that comprise the footwear portion of this outfit. Throw in perhaps one of the best leather belts you’re ever going to buy, and your accessories are in great shape. That’s also the case with the Momentum Watches Flatline 42 Fabric Watch, a durable, laidback watch that takes care of business. Throw your everyday carry essentials into the Mystery Ranch 3-Way Briefcase, and you’ve got a recipe for success, whether you happen to be running errands, running to grab a coffee or heading out on a weekend trip. Where is this #OOTD going to take you? Let me know on Twitter, my friends. August 18, 2018 August 4, 2018 by Beau H.
The tough henley to wear through early fall — on its own, or else layered up accordingly. It’s never too early to think ahead when it comes to men’s style essentials, and thus, I humbly submit that the rugged Knickerbocker Mfg. Co. Long-Sleeve Henley should certainly be on your shopping list — yes, even in mid-August. Made in Los Angeles from 100 percent 5oz. cotton, this rugged men’s henley is the secret style weapon you didn’t know you needed for the season ahead. Or perhaps, if you read The Style Guide regularly, you already knew that you needed a stylish henley in your rotation … and yet, didn’t know where to get one. Folks, Knickerbocker Mfg. Co. is here to help. We’ve talked about the importance of a short-sleeve henley when it comes to rugged style in the depths of summer, and a tough long-sleeve henley like the one shown here does the exact thing as we look ahead to fall. What’s so great about the Knickerbocker Mfg. Co. Long-Sleeve Henley? Well, as we all know when it comes to menswear essentials, the simple things are sometimes the best. Take the tube knitting — that’s unique among henleys, meaning there’s no side seam here, only quality, durable cotton. Yes, this is one stylish henley that’s made the right way. 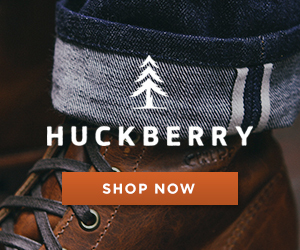 Priced right at $64.98 — a darn good deal for a USA-made product — the Knickerbocker Mfg. Co. Long-Sleeve Henley is a new menswear classic in every sense of the word, from the closely cut construction (ideal for layering) to the use of mother-of-pearl buttons on the placket. That gives the Knickerbocker Mfg. Co. Long-Sleeve Henley a decidedly more dressy feel — it’s still quite casual, but you shouldn’t feel out of place wearing this slim long-sleeve henley with dark denim, rugged leather boots and a charcoal herringbone blazer as temperatures start to drop. You can even make great use of the Knickerbocker Mfg. Co. Long-Sleeve Henley right now — it’s a natural pairing on its own with faded light wash denim, plus some lightweight leather boots. The great thing about a henley is the sort of rugged style appeal it gives even the most basic of outfits — in short, it’s a tough menswear staple that belongs in your rotation in the months ahead. Heck, you can — and should — get the Knickerbocker Mfg. Co. Long-Sleeve Henley as much air time as possible. Take it for a spin with classic dark tan chinos and your favorite pair of high-top sneakers to head to your local bar this weekend. Yessir, the Knickerbocker Mfg. Co. Long-Sleeve Henley is as good as it gets — and then some. Are you down with the durability and timeless style of the Knickerbocker Mfg. Co. Long-Sleeve Henley? Give me a shout on Twitter if you agree! July 25, 2018 July 10, 2018 by Beau H.
An underrated, brand-new style essential for your consideration. The idea of timeless menswear essentials certainly gets thrown around a lot on this site, from the perfect white T-shirt to a classic Oxford shirt. And now, today, I humbly submit another menswear essential for your reading (and shopping) pleasure — the rugged short-sleeve henley. Specifically, the La Paz Ribas Henley — it’s quite possibly your new favorite summer tee, and that’s saying a lot. What makes the Ribas Henley so darn stylish and so darn cool? It’s simple, really. The short-sleeve henley finds its roots in sporting heritage, and like so much of menswear that’s designed with function in mind (from the M-65 jacket to the moto jacket to five-pocket denim), that means it looks even better when worn during the everyday. How so? Well, it’s tough and instantly recognizable, for one. And the three-button placket and tailored-but-not-too tight fit of the La Paz Ribas Henley make any guy look good. It also comes down to the unique green color found on the La Paz Ribas Henley, too. The shade of green seen at the top of the page is surprisingly summer-friendly, able to be worn with pieces like slim light wash denim and suede chukka boots as easily as it can pair with a lightweight navy blazer and slim tan chinos. That’s the kind of rugged versatility you’re getting with the La Paz Ribas Henley — that makes it a menswear essential, without a doubt. And the Portuguese-made construction of the Ribas Henley gives you high quality at a surprisingly affordable price. All of those positives add up to one must-have for the rest of summer. And when it starts to get chilly in the early fall? You can (and should!) layer the La Paz Ribas Henley underneath a classic chambray shirt — to be worn alongside equally classic dark denim and brown wingtip boots, of course. That’s the kind of dependability you should be looking for all the time, but particularly when it comes to picking up pieces (like the La Paz Ribas Henley) that’ll help you get through the rest of the summer in style. What are the chances you’ll be picking up the La Paz Ribas Henley? More than good? Let me know via Twitter, and thanks for reading! Fired up for another set of Online Shopping Picks today at The Style Guide? I know I am — let’s get to it, then. 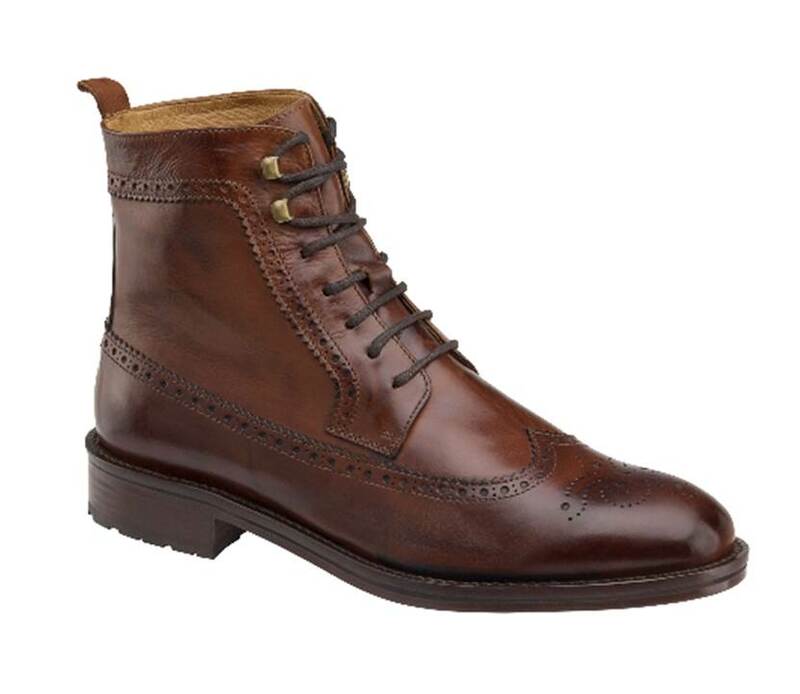 We sure do return time and again to rugged, classic menswear week after week, from stylish men’s boots to classic fall jackets. And if you haven’t caught on by now, there’s one item of menswear that can reliably team with both of those pieces. It exists in both the past and the present, simultaneously classic and modern — a stylish men’s henley. Yes, it’s rooted in British sporting tradition, but today’s best henleys feature modern fabrics and textures, plus the type of fit that goes with everything from a rugged flannel trucker jacket to your favorite fall blazer. Just see for yourself with the below picks, from brands both familiar and perhaps new to you. If you want to see some real-life tips on how to style a henley, check out my Instagram — I absolutely can’t get enough of the classic men’s henley, that much is true. Read on and happy shopping to you! We’re kicking off this list of the best men’s henleys by giving you not one, but TWO terrific options from Style Guide favorites Flint and Tinder. Made with carded cotton for a heavier texture — hence the name — the Flint and Tinder Heavyweight Henley is going to serve you well when it comes to fall layering. Wear the Natural Henley underneath a crisp blue chambray shirt, then pair that combo with rugged dark denim and brown leather boots, or take the Navy Henley and style it with a classic moto jacket and black denim for sleek style. A well-made merino henley from Taylor Stitch in a cool fall color? Sign me up. It wouldn’t be a list of men’s style essentials without including Taylor Stitch, right? The well-crafted Taylor Stitch Mercerized Merino Henley — a previous Style Pick of the Week entry on this site — utilizes that modern fabric we talked about earlier, combining breathability with stylish stripes and a flattering cut. The Forest Stripe color in particular should stand out nicely underneath a dark blue denim jacket or a black denim jacket in equal measure — and of course, you can slip the Merino Henley on underneath a tan herringbone blazer for high-low office style. A sleek henley that’s made in Italy and sharp enough to wear with a crisp blazer. It can be rare to find a henley you can wear with a blazer — yet, the Billy Reid Speckled Henley is one that gets the job done. Made in Italy using premium fabric and refined construction, the Speckled Henley is neutral and clean enough to work with a navy herringbone or tan wool blazer quite easily. Just add slim blue denim and stylish chukka boots, and you’re set for casual Friday, casual Thursday … heck, any day that calls for laidback, business casual style. A warm, casual and rugged henley for cool fall nights. A thermal henley might be the type of classic men’s henley that first pops to mind when you think of the style. And if you want an upgraded take on this decades-old staple, the Life/After/Denim Thermal Henley is the one to buy. Made from 100 percent cotton slub fabric in a neutral and easy-to-layer heather grey, this Life/After/Denim henley would look great when teamed up with a classic chamois shirt or a black trucker jacket for edgy, casual style. The three-button placket and side seam paneling provide some visual interest, too. Rugged AND modern? Sign me up! A durable, unique and historical henley from Levi’s — not a bad addition to your closet. The henley itself has sporting roots, to be sure, but it’s also a truly rugged and functional staple found throughout the hardworking history of America — and Levi’s knows this well when it comes to the brand’s 1920s Sunset Henley. In this case, the maker of your favorite pair of jeans has taken a style from its 1920s archives and updated the fabric and fit. The resulting Sunset Henley is seriously cool and unique, made from a cotton-linen blend in Portgual. Wear the 1920s Sunset Henley on its own with a black moto jacket and grey denim, or style this rugged henley with rugged leather chukka boots & blue indigo denim. A comfortable, casual and cozy henley for fall layering. We’re keeping things casual, rugged and durable once again with the sixth slot on this list, the Thermal Henley from Bread & Boxers. 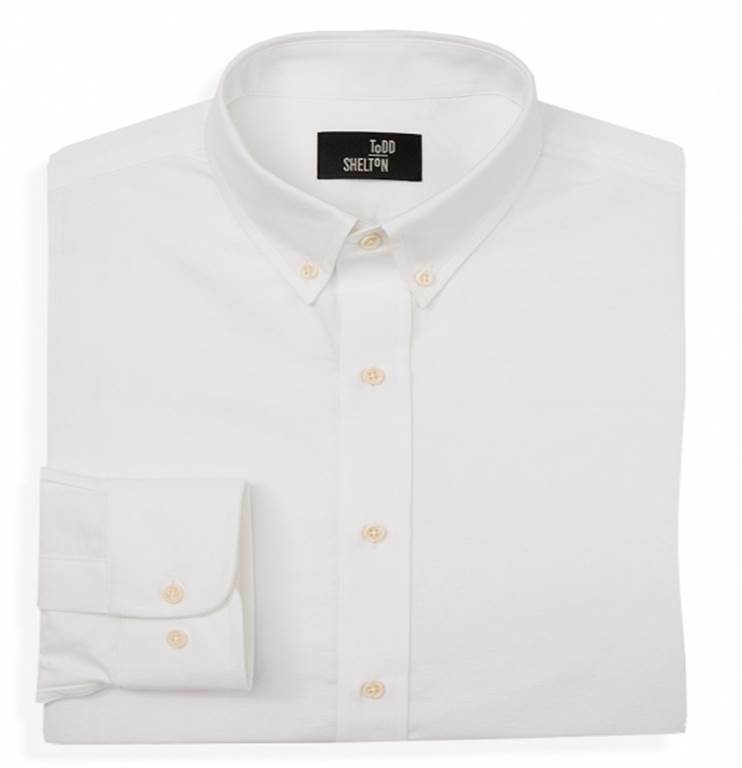 The contrasting cuffs and placket are a neat design touch that elevates this casual staple just a bit. That being said, this Bread & Boxers thermal henley might look best when worn with faded denim and stylish leather sneakers for a casual weekend day — heck, you can even team it with sweatpants from Bread & Boxers to complete the casual, comfortable vibes. Who’s with me? 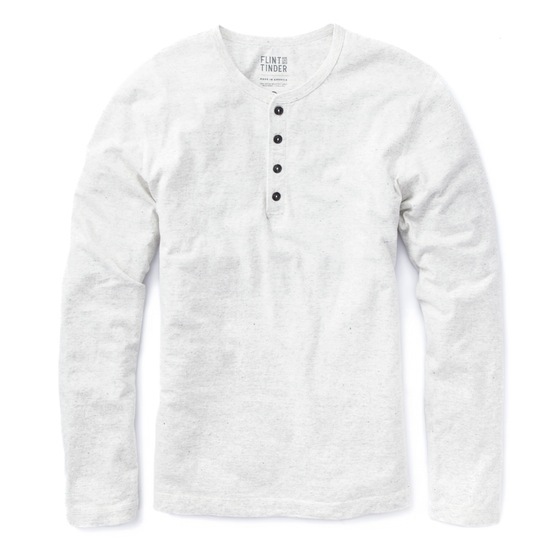 A more affordable Billy Reid henley that doesn’t skimp on quality. Billy Reid is back at it again on this list with the more affordably priced Hartford Henley. Don’t let the smaller price tag fool you — the Hartford Henley is just as premium a piece as the Billy Reid Speckled Henley nearer to the top of this list. This lightweight long-sleeve henley features a cotton-polyester blend, all the better for layering underneath a slim merino cardigan or a rugged indigo shirt jacket. The heather grey color of the Hartford Henley contrasts nicely with the henley’s premium horn buttons, too — not a bad design touch from a menswear master. As easygoing of a henley as you’re going to get — made with 100 percent cotton, too. Make no mistake about it, heather grey is a heck of a versatile color when it comes to a rugged men’s henley — that’s why we’re closing out this list with the Refined Henley from Levi’s. Available for an astonishing $30 — yes, just $30 — the Levi’s Refined Henley is a great deal for the price, what with its 100 percent cotton construction and a textured jacquard knit. Wear it with a slim blue denim shirt and black jeans, or style it with your favorite denim trucker jacket. When it comes down to it, you need a stylish men’s henley in your wardrobe this season (and beyond). The right men’s henley — like the durable, rugged Flint and Tinder Heavyweight Henley — merges a clean fit with excellent construction and versatility. Seriously, the best men’s henleys can work with everything a charcoal herringbone blazer and a slim topcoat to a leather moto jacket — the Mercerized Merino Henley from Taylor Stitch is a terrific choice for that type of style. Either the Hartford Henley or the Speckled Henley are also premium wardrobe picks from Billy Reid, while Levi’s has done a nice job with the vintage-inspired 1920s Sunset Henley. More casual henleys, like the Bread & Boxers Thermal Henley, are to be applauded, too. So, that’s our list for ya — which of the above best men’s henleys are you shopping this season? Let me know on Twitter! April 18, 2017 April 15, 2017 by Beau H.
If the title of today’s #OOTD has you scratching your head and asking,”Why are we talking rugged henleys in spring?” … bear with me here. After all, there’s really no reason that a slim henley — the style essential every guy should have — isn’t fit for the warmer temps of spring. The key with today’s ensemble involves re-thinking how you wear your henley. While the crisp temperatures of fall and early winter call for layering your stylish henley with tough pieces like a waxed trucker jacket, the breezy days of spring call for a lighter approach all the way around. And that lighter approach starts with the henley itself — today’s well-made, well-crafted and lightweight Flint and Tinder slub henley is just the piece you need to switch up your spring layering game. It’s wearable with your favorite chinos, it works with slim selvedge denim and well … I’ll leave the rest of these tips for the remainder of this post. But again, think lighter colors and fabrics, think spring and get ready to buy your new favorite henley — or at least, steal some #menswear inspiration from this post. If you’ve got questions, I can be reached 24/7 on Twitter or via email — well, nearly 24/7. At any rate, shop away and enjoy! We’re lightening up your spring henley and pairing it with classic staples fit for warm weather. The Henley: Flint and Tinder Slub Henley in Vintage Pewter, $58 — Just as I mentioned above, you can’t beat this Flint and Tinder slub henley, especially in a welcome, spring-like shade of pewter. The slub cotton is lightweight, breathable and ideal for layering — get on board with this one, folks. 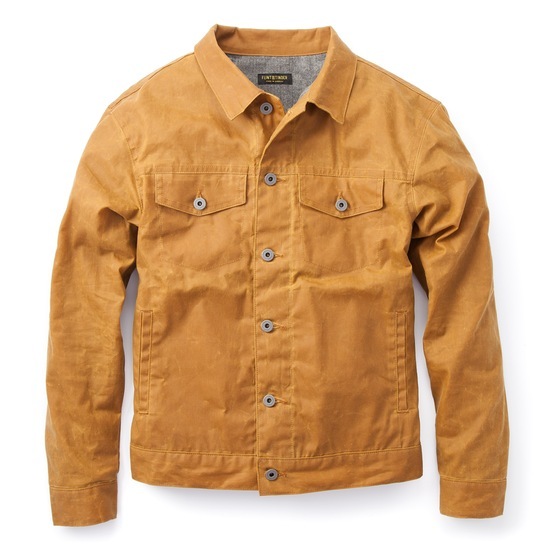 The Jacket: Levi’s Trucker Jacket in Rinse, $70 — Does it get any more classic than a rugged denim jacket for spring? Particularly one in a crisp, dark wash as done by Levi’s? Buy this one now, and break it in a ton this season. The Chinos: Abercrombie and Fitch Cropped Chino Pants in Cream, $68 — Want to really go for this whole spring style thing? Try pairing some light cream chinos with a similarly light henley — it’s monochromatic style that’s nicely broken up by the denim jacket. The Sneakers: Gola Classic Comet Plimsoll Trainers, $60 — Yours truly was pleasantly surprised to stumble across the crisp, sporty and vintage-looking Gola plimsoll trainers seen here — excellent looks, great styling potential and more than a century’s worth of British sporting heritage to back ’em up. The Socks: Darn Tough No Show Ultra-Light Cushion Socks, $29.98 — If you’re rolling your chinos and sticking with classic spring sneakers, you’re bound to need effective no-show socks — like these Darn Tough no-shows. The Belt: La Matera Corbina Belt, $145 — The similarly light colorplay between the chinos and that Flint and Tinder slub henley necessitates adding a shot of color and pattern — the La Matera Corbina Belt is the way to do it. The Watch: Form-Function-Form Horween Leather Chronograph, $118.98 — When you’re pairing up rugged essentials like a classic denim jacket and a slim slub henley, you need an equally tough watch; the handsome Form-Function-Form Horween Leather Chronograph as seen here should be your go-to casual watch. The Everyday Carry: This Is Ground Leatherback Writer, $74.98 — Never underestimate the importance of an essential everyday carry piece to stow everything from notebooks to pens & extra headphones — this is a good one to buy. Alright – that’s a wrap on this spring layering #OOTD. See, wearing a spring henley isn’t as difficult as it might seem — right? Hopefully? It’s admittedly taken some time for me to incorporate my beloved henleys into spring style ensembles, but I’m confident that if you start with a great Flint and Tinder slub henley, you’re going to be inspired to put together quite a few looks. Take a classic, inky blue denim jacket and pair up your new favorite henley with cream chinos, to start. 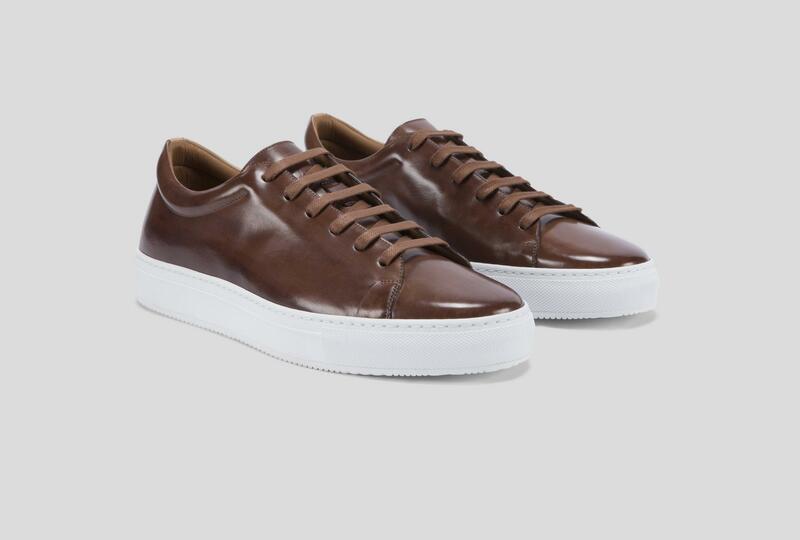 Sport-inspired sneakers can add a nice dash of color to any spring ensemble, particularly a more monochromatic outfit like this one. And you can never go wrong — never — with durable accessories like the Form-Function-Form Horween Leather Chronograph or the visually interesting La Matera Corbina Belt. Before you step out the door though, don’t leave behind a handy everyday catch-all like the This Is Ground Leatherback Writer. OK, all good? I, for one, am ready to get out and try a few spring-centric looks. Follow along on Instagram, and drop any questions via our comments section below. September 13, 2016 September 5, 2016 by Beau H.
So it’s not exactly the middle of summer anymore, is it? That’s a strange sensation if you’ve been used to dressing for the heat or packing up stylish beach gear. But if you’re anything like this #menswear writer, you relish the chance to dress for seasonal transitions and break out some of your favorite seasonal style staples. We’re talking pieces that are rugged and refined, ready for casual wear or able to be worn with a bit more tailored style in mind. And in the case of this week’s #OOTD, we’re looking at an outstanding piece for a seasonal transition — the ever-reliable slim long-sleeve henley. With its athletic-minded origins and rugged good looks, a great henley certainly works in the summer as well as the in-between period between summer and fall. But particularly when it’s made with marled fabric and plenty of quality and comfort, it’s the ideal early (and middle, and late) fall style piece — think of the below #OOTD as a weekend workhorse look. To get your mind right when it comes to stylish henleys, check out last year’s picks for the best men’s henleys for fall — and know that we’ll have a similar feature coming on this site in the weeks ahead. Oh, and how exactly should you style this durable staple? We won’t drop any hints up here — scroll below to check out the #OOTD, join in on the men’s style conversation at The Sty le Guide’s Facebook page, and check out this guy’s Instagram for daily style tips. Just one way — but perhaps, the best way — to wear a henley this fall. The Henley: Flint & Tinder Marled Long-Sleeve Henley, $62 — So, the henley shown here is a bit more expensive than you might be used to paying for a basic layering piece. But the quality, fit and styling potential is top-notch, and given the fact that it’s part of a slew of new additions to the Flint & Tinder product line, you should definitely pick up this slim henley. The Coat: Old Navy Canvas Coat, $69.94 — It might initially be too hot to wear a canvas coat atop that henley, but know that when it gets slightly chilly and you need a crisp top layer, this rugged canvas coat is the perfect finishing touch. The Chinos: JACHS NY Grey Bowie Fit Stretch Cotton Chino, $89 — Why go with chinos here as opposed to slim, dark denim? They lend the look a bit of high-low style appeal, and the fabric and slim fit are nice positives. The Boots: CAT Footwear Russell Boot, $150 — Boots that blend different fabrics and textures (like wool and leather) with a sturdy ankle boot, moc toe combination are the perfect way to nod toward the chillier temperatures of fall — not to mention the rugged-refined vibe of this outfit. The Socks: Flint & Tinder Inventor Socks, $17.98 (Three-pack) — If we’re going with a Flint & Tinder henley, might as well go with crisp, stylish and comfortable Flint & Tinder socks, ehh? The Watch: Timex x Red Wing Waterbury Chrono, $158 — The Timex x Red Wing Heritage collaboration is a certified Style Guide favorite, and it’s the perfect mixture of toughness and style to offset the other fall-appropriate pieces in this #OOTD. The Belt: Anderson’s Stretch Woven Leather Belt, $195 — If you want a belt that’s going to work as hard as you do, last forever (truly) and add some subtle texture to this overall look, the Anderson Stretch Woven Leather Belt is the way to go. The Everyday Carry: United By Blue Lakeland Laptop Bag, $119.98 — Looking for a durable, dependable bag to haul around your laptop? This United By Blue laptop bag merges function and fashion, and it does so while promoting a good cause (the brand removes one pound of trash from oceans & waterways for every item sold). Are you ready for some fall weather yet? Hopefully so. Dressing for the transitional period between the heat of summer and the chill of winter can seem taxing if you’ve grown used to wearing that short-sleeve chambray shirt for months on end, yet reaching for the right pieces can make it an enjoyable task. A marled henley is an essential for the colder months, and when mixed with dependable boots and refined chinos, it can work in even more style situations. On top of that, sharp socks that add a pop of color play nicely off dressy touches like that textured leather belt and rugged leather watch. And if it gets truly cold in the weeks ahead, you can always add a crisp shawl cardigan to this same ensemble. Have questions or more suggestions for the #OOTD series? Shoot me a note on Twitter. Make room in your closet for a great henley — and stay stylish in the meantime!